Music intervention by MusiCure: Helping to aid the healing process the way nature intended it. MusiCure – Music As Medicine® is music and video specifically developed by Scandinavian artists, in a collaboration with doctors and researchers, to aid in the recovery of patients. 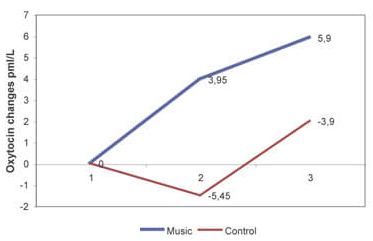 MusiCure is music therapy intervention backed by 18 years of independent research in Europe and the United States with studies showing lower cortisol levels and less pain medication use in trial patients. MusiCure provides a healing sound environment by blocking out the stressful noise and embraces the patient and their visitors with comforting music and nature sounds audibly and visually. Helps increase the calm inducing hormone called oxytocin which helps with patient well being. Elevate the patient experience by creating a healing and comforting space in waiting areas, infusion rooms and directly at the bedside. Through a randomised controlled trial with 40 patients undergoing open coronary artery bypass grafting and/or aortic valve replacement surgery randomly allocated to either music listening during bed rest or bed rest only. Relaxation was assessed during bed rest the day after surgery by determining serum oxytocin, heart rate, mean arterial blood pressure, arterial oxygen tension, arterial oxygen saturation and subjective relaxation levels.